Pop rock band Imagine Dragons will be performing at the Festival d'été de Québec on July 14th, 2019 ! The last time we saw Imagine Dragons in Montreal or Quebec City was in 2017. This time, Imagine Dragons are back, with Bishop Briggs and Kongos as the opening acts, on the Abraham Flats. Don't miss this one, folks ! 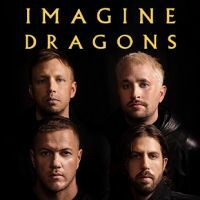 2Tickets.ca acts as a third party and is in no way associated with Imagine Dragons.